Chinese smartphone manufacturer Xiaomi has started rolling out its latest Global Stable ROM MIUI 9.5 for several smartphones in its portfolio. This latest incremental software update will be delivered over-the-air (OTA) and will bring some exciting new features. But disappointingly it is still based on the over a year old Google's Android Nougat 7.1.1 operating system. Alongside the announcement of the update itself, Xiaomi also revealed which smartphones will be getting the updates and the approximate time in which their users can expect the MIUI 9.5 to hit their devices. 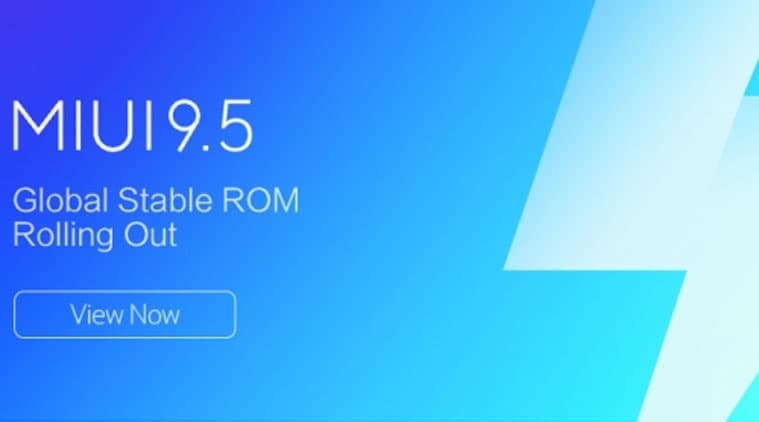 The latest update is focussed on improvements over the existing MIUI 9 and refinements to its native Mi apps and navigation gestures for its lineup of bezel-less smartphones. Along with a number of under the hood refinements, some of the top features includes an improved Mi browser with optimized performance and a revamped start page, better app lock, new notification shade which will help to reduce clutter, full-screen gestures, etc. Interested ones, can read the entire MIUI 9.5 Global Stable ROM changelog by heading over to the Source link. The latest MIUI 9.5 will be rolled out in three phases and will be completed within a month from now. After the rollout it may take some time depending on the carrier, to reach the end users. 1st phase- Late March: Redmi 4 Prime, Redmi 4A and Redmi Note 4 Mediatek SoC, Redmi Note 3 Special Edition, Redmi Note 3 Qualcomm SoC, Mi Max, Mi Max Prime, Redmi 3S, Redmi Note 4 Qualcomm/Redmi Note 4X. 3rd phase- Mid April: Mi Note 2, Redmi 4, Mi 3, Mi 4, Mi 5s, Mi 5s Plus, Mi MIX, Mi Note 3, Redmi Note 2, Redmi 3.